German airline group Lufthansa reports growing profits in the second quarter, as increased passenger demand and lower fuel costs push its business higher into record territory. Lufthansa's net profit between April and June stood at 740 million euros ($875 million), up more than 69 percent from its 2016 second quarter, the company announced Wednesday. Operating, or underlying profit reached one billion euros on the back of 9.3 billion euros in total revenue. The group, which also owns airlines like Austrian, Swiss and low-cost Germanwings alongside its namesake brand, said cost-cutting in its passenger business had led to "sustainably higher earnings" over the first half of the year. Looking ahead to the full year, Lufthansa confirmed its forecast, which it only increased in mid-July, of operating profits adjusted for special items higher than the 1.75 billion euros reported in 2016. Meanwhile, Lufthansa's cargo unit returned to profitability in the first half of the year as it continues to push through its own efficiency plan, while the airline's maintenance and catering divisions continued their growth. In a statement, the executive board promised "continuous structural improvements" to keep Lufthansa competitive in a world of challenges from low-cost rivals like Ryanair. The Irish carrier upset Lufthansa's plans earlier this year by offering flights from the German carrier's home base in Frankfurt and plans to expand the schedule in the autumn. In May, Lufthansa's CEO Carsten Spohr also confirmed that his company had held talks to buy part of Germany's second largest airline, Air Berlin. Though the rival has already rented aircraft to Lufthansa in a bid to raise cash, so far no sale has taken place. 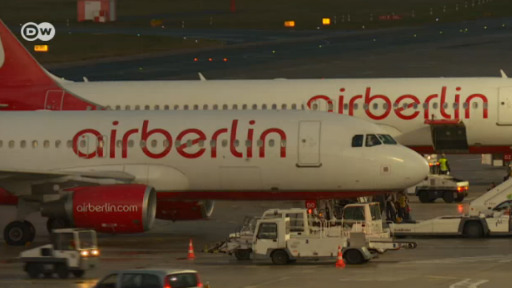 Air Berlin has booked losses for the past two years; only once booking an annual net profit since 2008. Whether Lufthansa could make a success of the struggling airline is anyone's guess. It was a tearful farewell. At the end of last October, the last AirBerlin flight took off. The once second-largest German airline was history after almost 40 years. Passengers affected won’t be surprised, but the announcement by Lufthansa that the airline group was forced to cancel 18,000 flights up to the end of August shows the headwinds the aviation industry has faced this year. Lufthansa has confirmed its full-year objectives, even as its third-quarter profit fell. The German airline group is expected to benefit from solid passenger demand as it swoops in on struggling rivals. Socialist Prime Minister Pedro Sanchez could win re-election on April 28. But a left-wing government is far from certain, with neither left or right wing blocs on track to easily reach a majority. More than 2,000 people rallied in the western German town of Ingelheim in a counterdemo against plans to celebrate the date. The Hitler rally went ahead after organizers got a ban overturned by a regional court.